"Canary release is a technique to reduce the risk of introducing a new software version in production by slowly rolling out the change to a small subset of users before rolling it out to the entire infrastructure and making it available to everybody." Not to be confused with bluegreen deployment which would require very different dead birds. 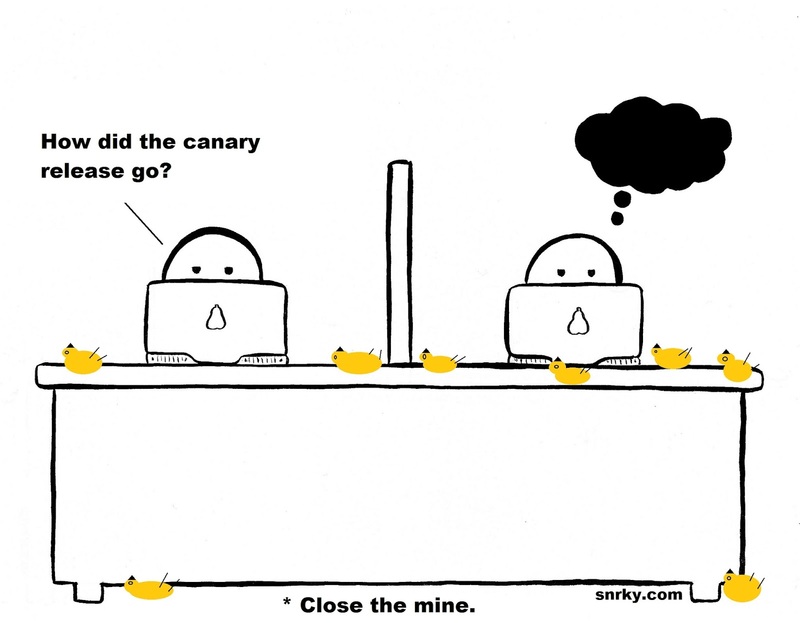 Snarky: How did the canary release go?